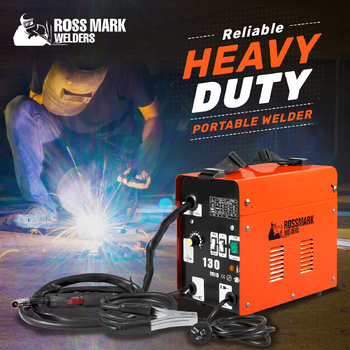 Introducing Ross Mark Welders MIG-130T, a heavy-duty welding tool uniquely crafted to address the need of the current home users as well as repairing workshops and outlets. 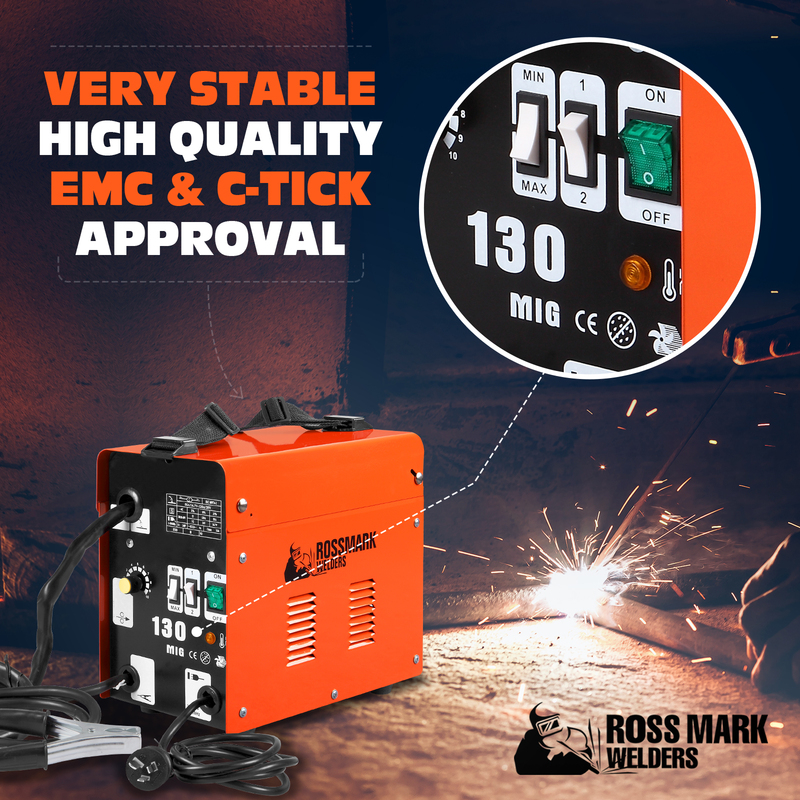 Ross Mark Welders MIG-130T is strongly supported with 1 Year Warranty! 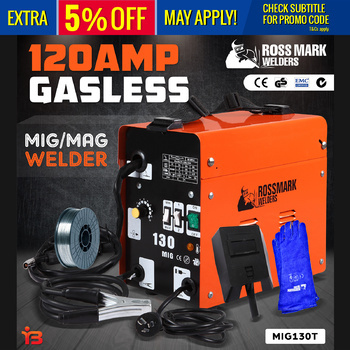 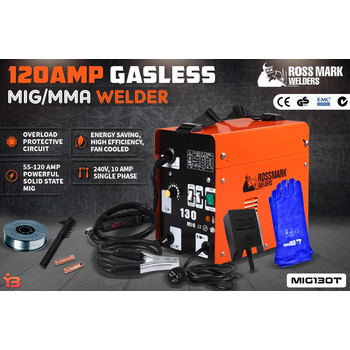 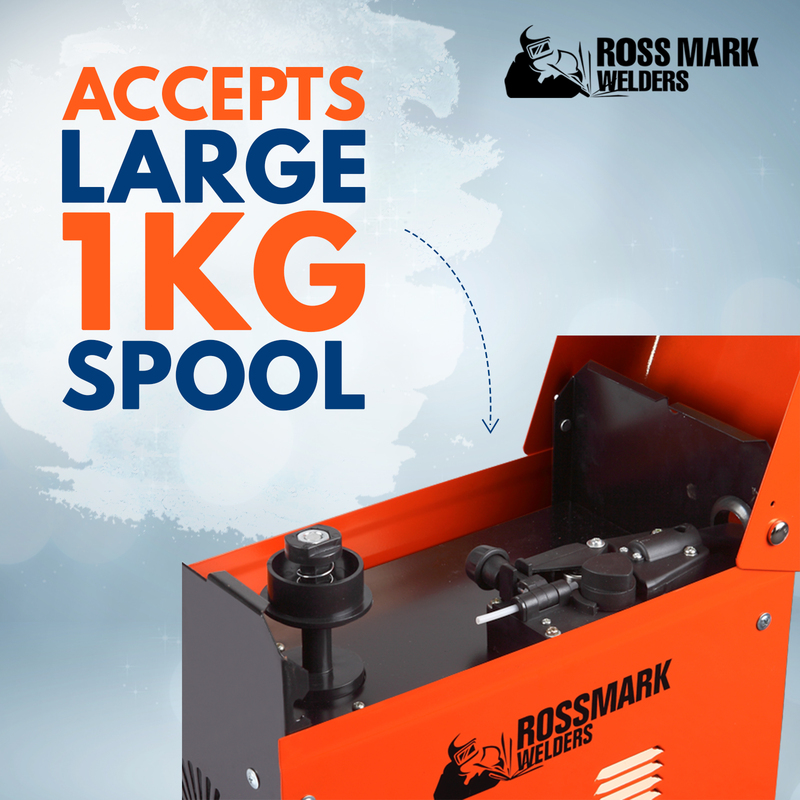 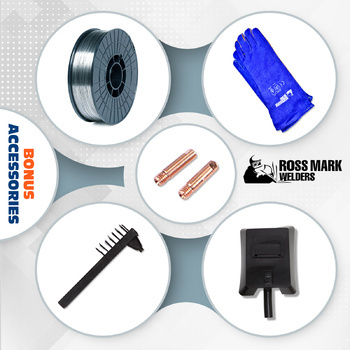 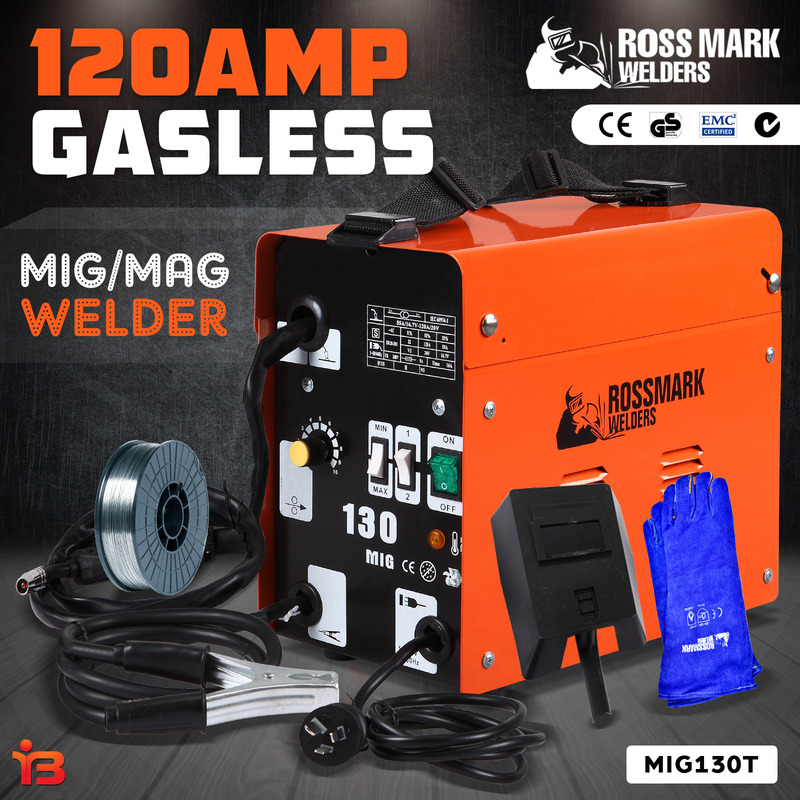 Do you want to weld with Gasless Wire then you need to use Ross Mark Welders MIG-130T! 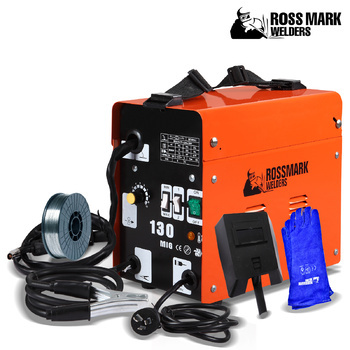 This welding tool provides various benefits over other welding processes, particularly for novices. 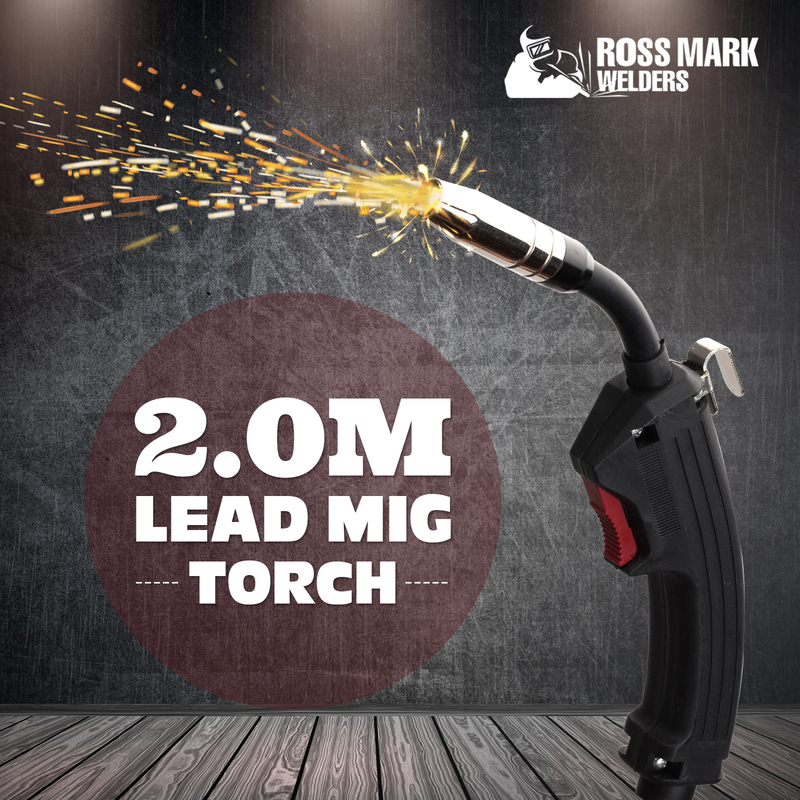 Experts have offered their due credit for the development of MIG, which has brought a revolution in the welding field. Ross Mark Welders MIG-130T offers a maximum output of 130 Amps, which facilitates to easily weld up to 3.0mm steel with flux cored wire. 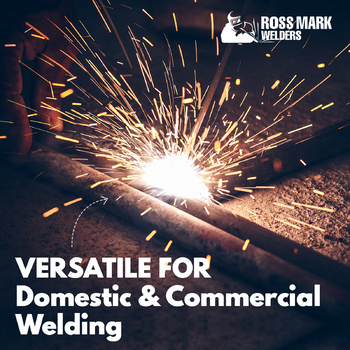 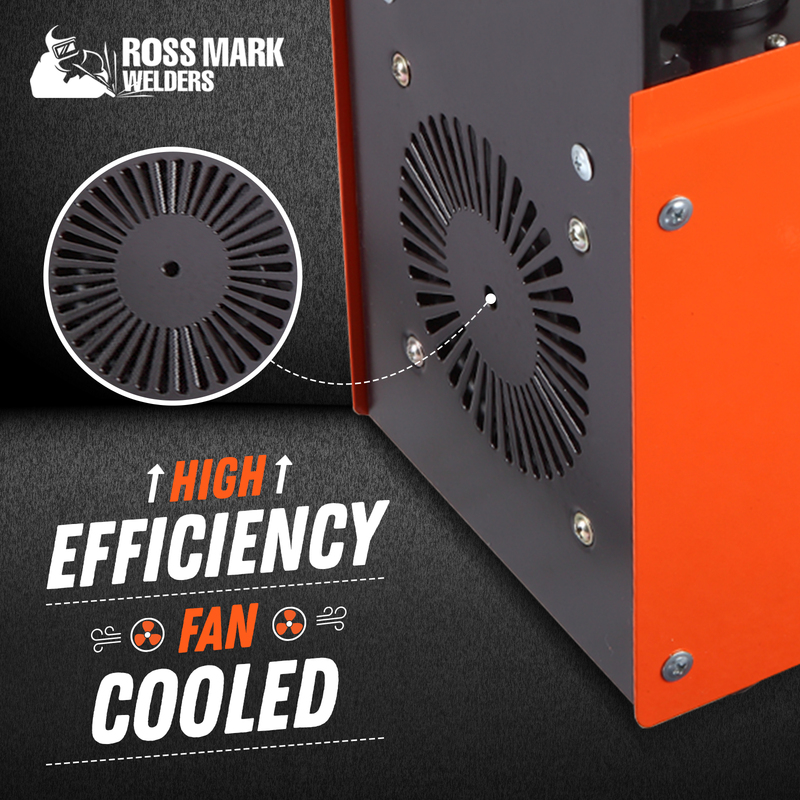 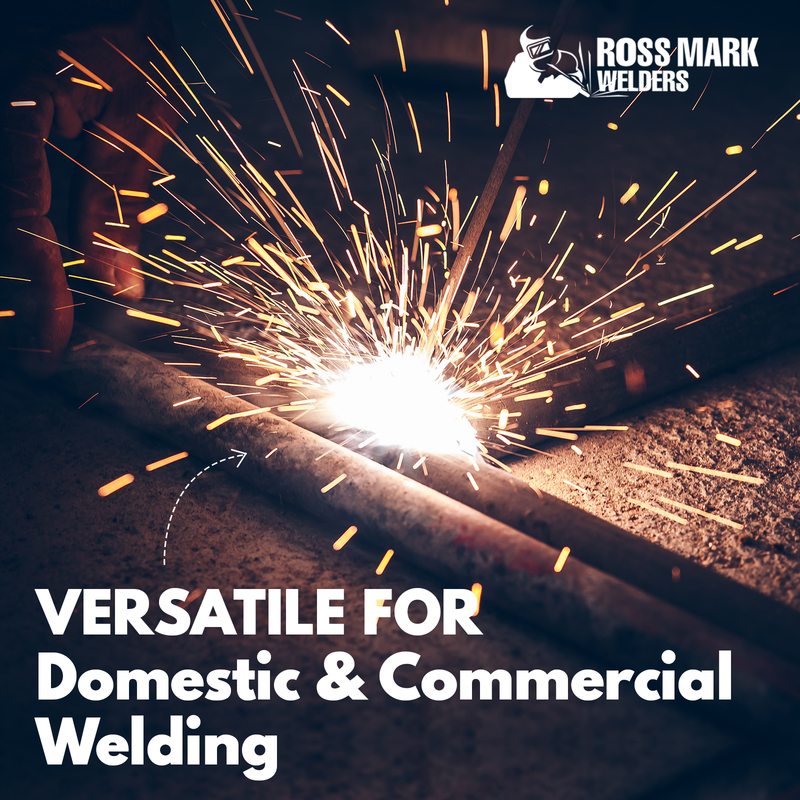 To achieve high quality welding performance, Ross Mark Welders MIG-130T is designed with a single phase compact power source; this is truly a blessing for tradesmen or handymen. 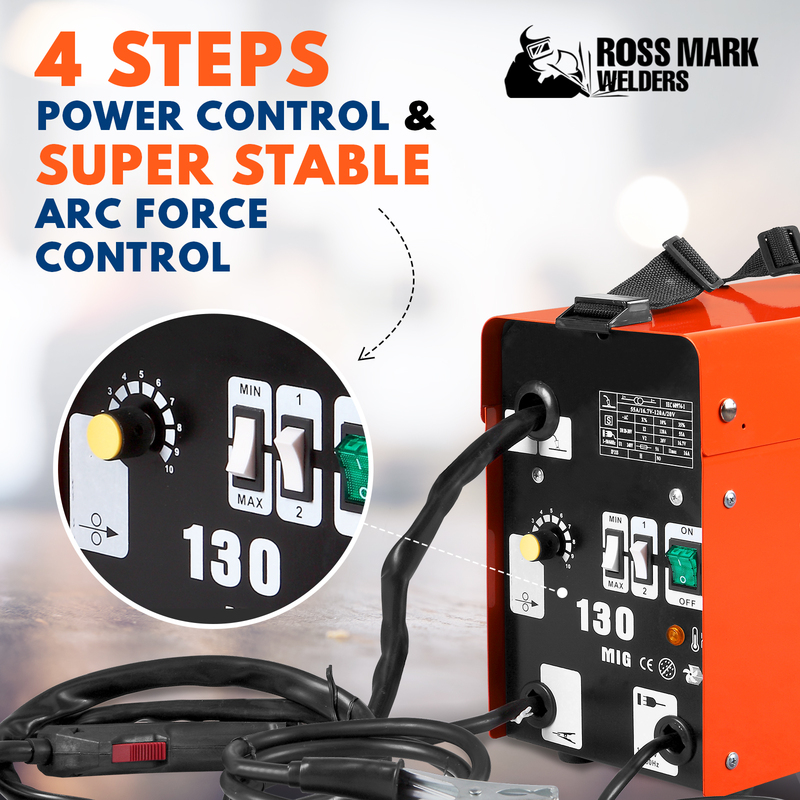 With flux cored welding wires, this steady voltage power source offers brilliant performance. 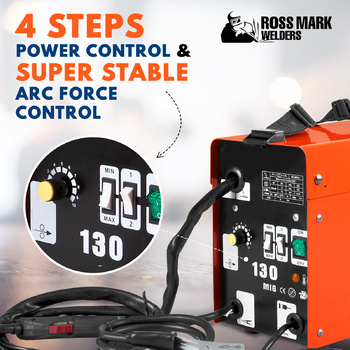 The user just requires adjusting a power setting for the thickness of mild steel that needs to be welded and he's all equipped to weld. 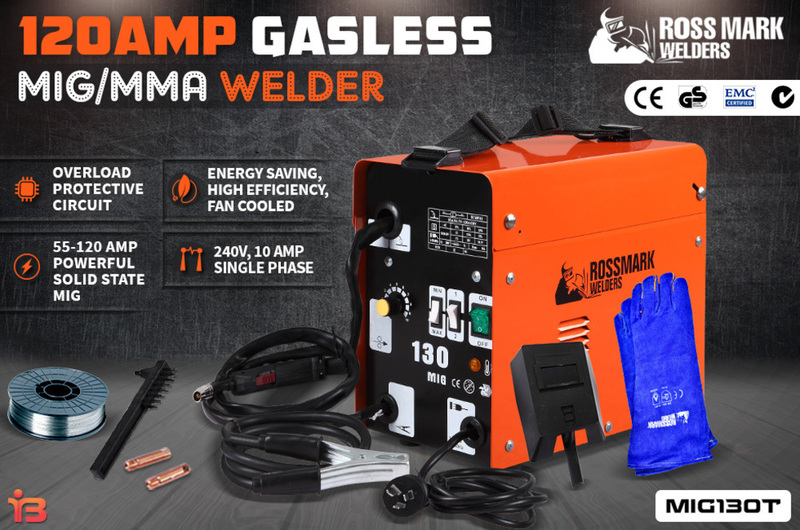 Wire feed speed is adjusted by one knob. Integrated touch simplifies use and is a brilliant security feature that makes wire electrically "cold" till the trigger is pulled. 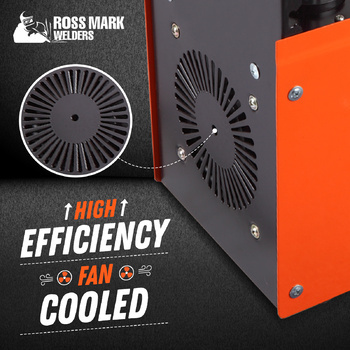 Positive feed with adjustable tension as well as handiness to thread new wire is the outcome of durable feed head with quick-release drive roll tension lever. 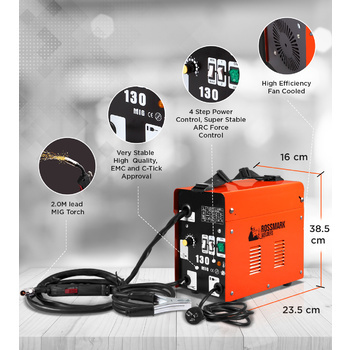 Self-resetting motor protection guard wire feed system from overload; absolutely no fuses to be replaced or circuit breaker buttons to be reset. 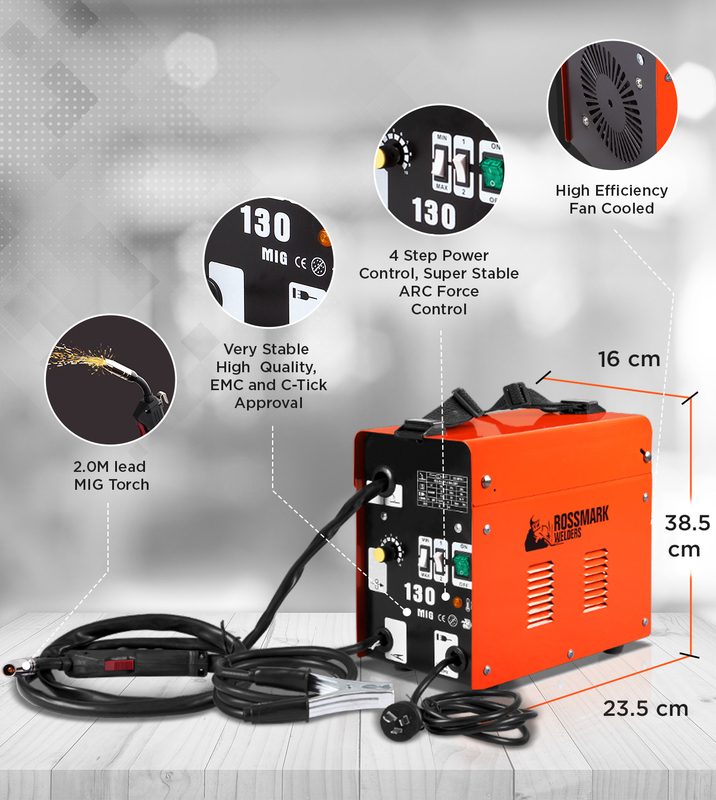 Against the current overload, short circuit protection guards the unit.